Im not entirely sure how to articulate how I feel about this. I do know that my love for Frank Frazetta (well his work that is) is due entirely to comics, oddly enough the issue of Master of Kung Fu in which Black Jack Tarr falls in love with a painting of 2 polar bears pulling a sleigh (issue ). So it is quite fitting that an artist whose paintings move me like no other is able to be included here for his comicbook work. What has always struck me about his work, humorous, fantasy, horror, or other genre is the movement within each illustration. I have 4 of the books which collect his paintings, and on the back of the plates are reproduced his sketches and doodles. Even these that would have taken seconds or at most minutes, show more life than any picture Ive ever been able to do. This is the element I strive to acheive EVERY time I lift a pencil, and thats purely from him. Like Crimebuster, I thought this was the obvious choice. 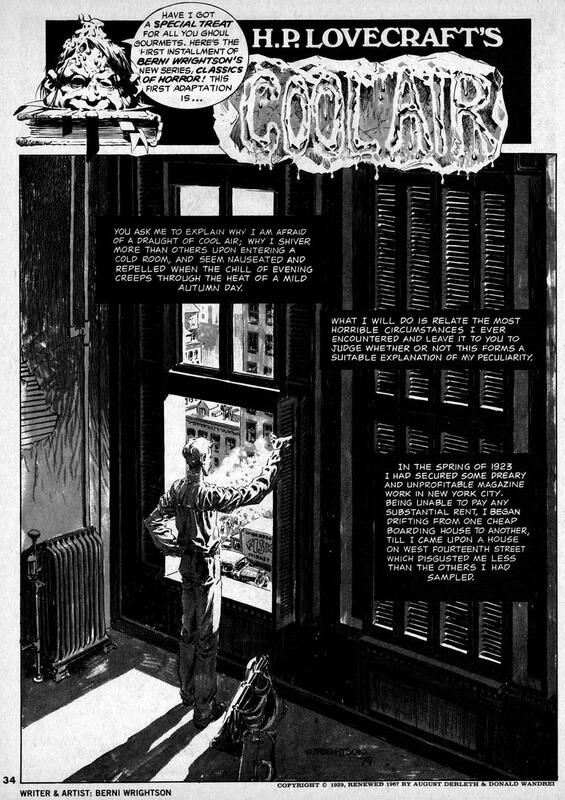 Also, not only is Wrightson a great horror artist, he's a very good comic artist--a great storyteller with a great sense of character. Another reason I've always loved his work is that he often skirts the like between horror and humor, without breaking the mood. 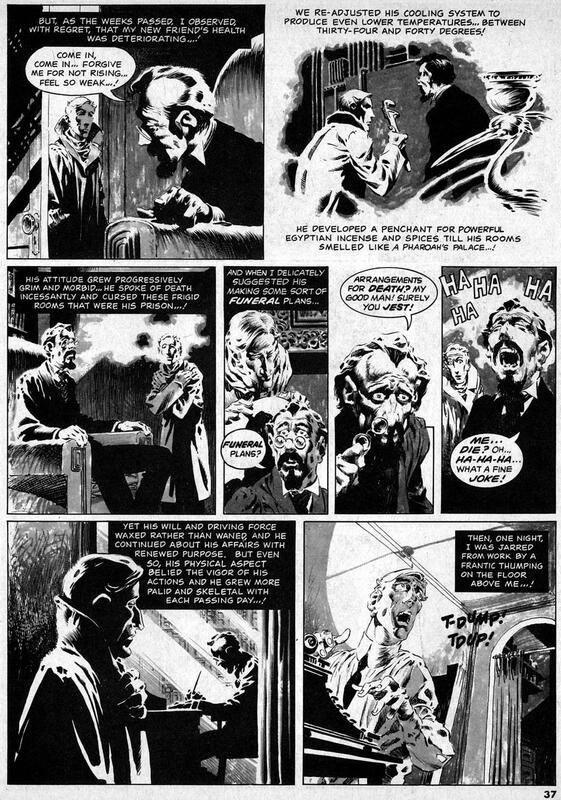 There have been plenty of image samples, so I'll just limit myself to a few pages from one of his best stories. That adaptation of Cool Air positively floored me. 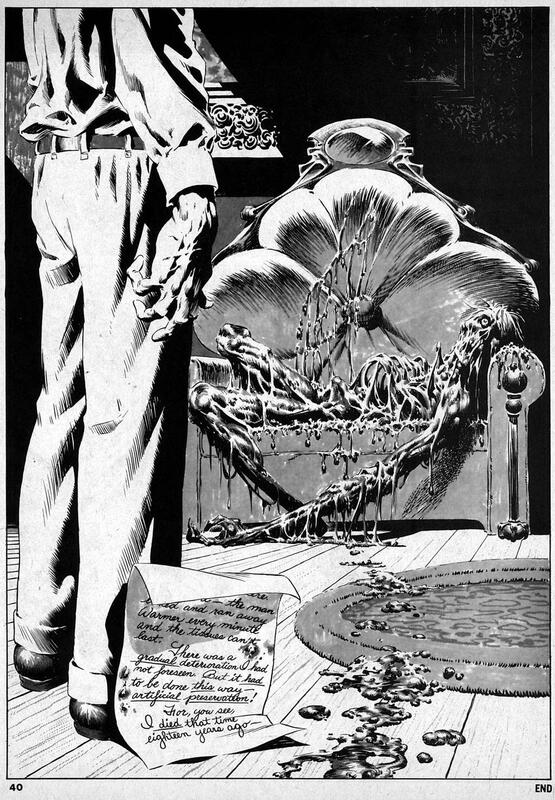 I read it only a few months after reading the original Lovecraft story and was floored by how closely Wrightson's imagery matched what I'd seen and felt in my head. 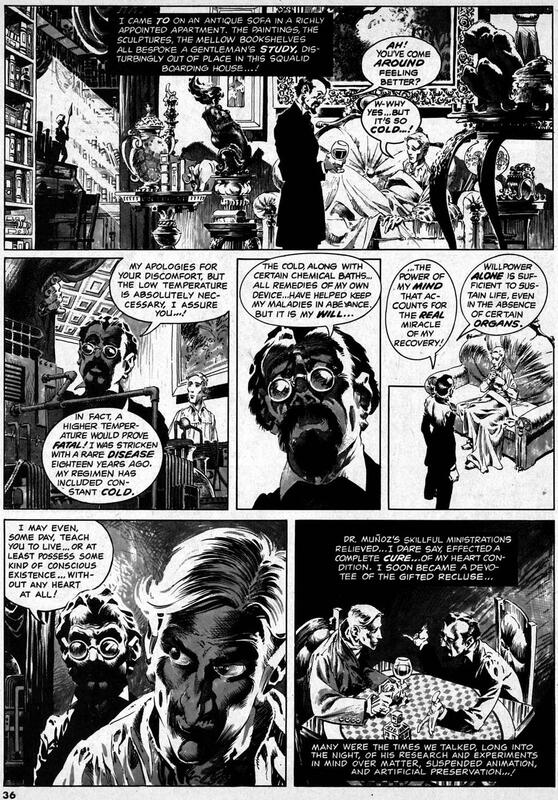 It's also probably one of the finest uses of duotone boards in comics.